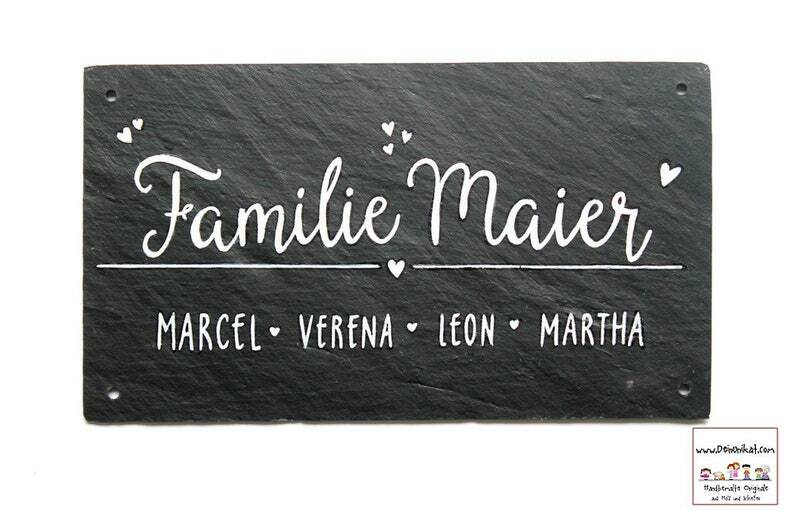 Wunschschriftart für "Familie + Wunschname"? Door sign Slate Personalized, Slate door tag, Name tag, family sign, Slate sign, Front Door sign, Door sign for front Door/Front Door, Slate Door sign, family door sign, door Sign family hand painted/labeled. The label is in white. Suitable mounting material for the version with 4 holes can be found in our shop department "accessories".